An East End man who confessed to making off with a safe of cash and jewelry told the police that he spent the loot on bills and other expenses such as taking care of his family. 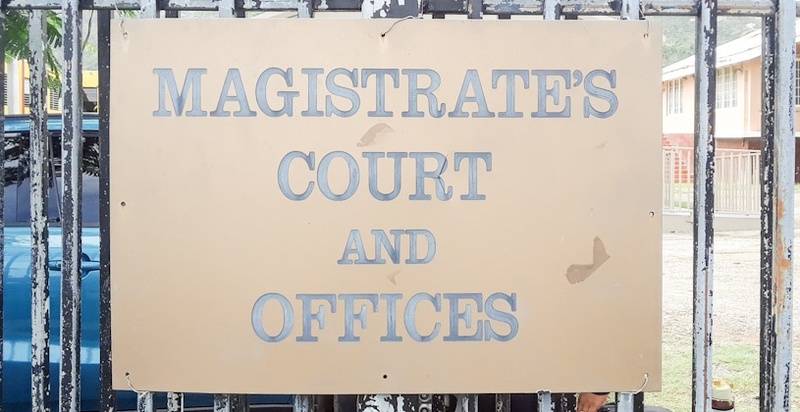 Twenty-five-year-old Kilmo Maduro appeared before Magistrate Shawn Innocent today, December 4, and admitted to a charge of burglary. The Court heard that on October 30, at Thread Falls, Maduro broke into the apartment of Akeem Thomas and stole a safe containing $8000 of cash, a quantity of jewelry and gold, along with several vehicle keys. According to the prosecution facts, on the day of the incident, the victim returned home and noticed the deadbolts used to secure the apartment unlocked. Further checks revealed the apartment was broken into, and the items were missing. Checks to the surveillance footage revealed Maduro entering the premises. When he was later arrested and told of the offense, the man told the Police that he went into the apartment to get some water for his vehicle that was overheating. He initially denied taking the items but later told police that he spent the $5000 of the loot on expenses, and placed $2500 in his mother’s account. He also confessed to paying rent with the remaining money and giving some of it to a third party. The burglar further told police that subsequent to making off with the money and other items, he disposed of the safe and the clothes he wore to commit the crime. In Court, the man’s Attorney Stephen Daniels told the Court that his client admitted to lying to the Police about giving his mother—who is a retired police officer—the stolen money. He will return to Court on December 13 for sentencing.